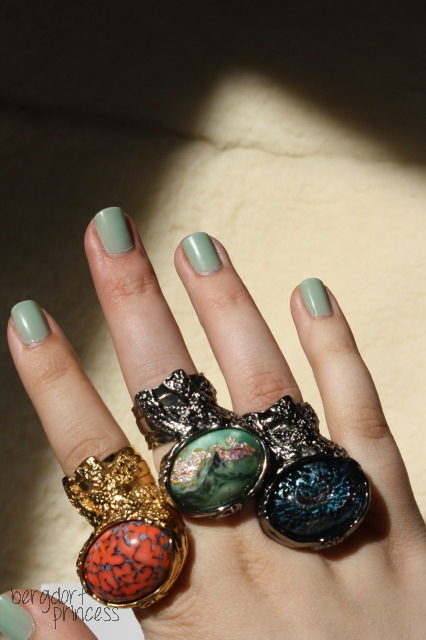 YSL, YSL, oh YSL, why have you come out with such mesmerizing Arty Oval rings? 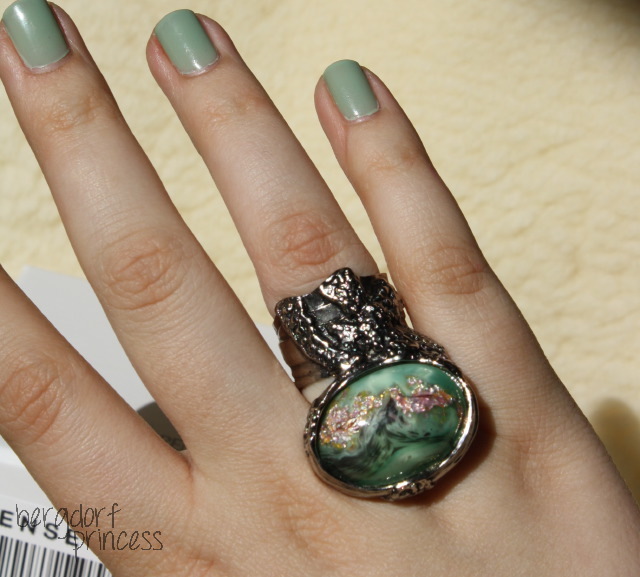 I just made a post about my new blue and gunmetal Arty ring, and here I am making a post about my new mint colored one. I first spotted this ring on the Saks website, but it was sold out. I searched for it everywhere, checking the YSL website, Saks, MyTheresa, and other sites every day. Finally, the day before the price increase, I found it at Ssense. It was $250 and I got it without sales tax (since it was from Canada) and with free shipping. I was so excited! It shipped very quickly and I am super pleased with it. The stone is so beautiful - the mint is perfect for spring, and the little lilac and gold flecks are just the perfect touch. This new silver one is a little lighter than the blue one, which is more of a gunmetal color. You can buy this ring from Saks, MyTheresa, or Ssense.com. All the sites are great! I didn't quite plan to get two Artys but the two rings I've purchased were just too beautiful to pass up.